Support EPS, AI(Adobe Illustrator) format. Support webp(still image only) format. Add new option: "View>Initial Scroll Position When Zoomed". If you select "Keep Current Position", next image will be positioned same as current scroll position. Lyn 1.5.4 – Lightweight image browser and viewer. ApolloOne 2.1.3 – Feature-rich media viewer. 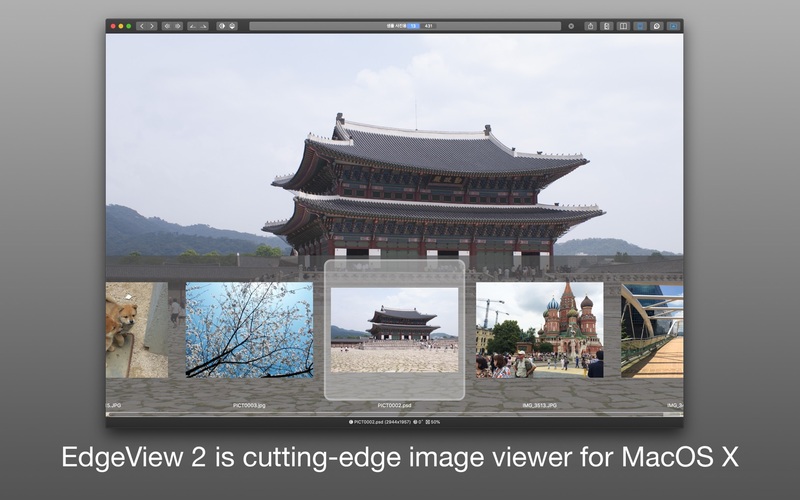 EdgeView 2.15 – Cutting-edge image viewer.